A non-profit international educational organization with partners in more than 70 different countries, YFU is one of the world’s oldest, largest and most respected intercultural exchange programs. MAKE THE WORLD YOUR HOME. YFU advances intercultural understanding, life-long learning, global competencies, mutual respect, and social responsibility through transformational educational exchanges for generations of youth, families, and communities, supported by dedicated volunteers and professional staff. YFU seeks to instill passion for life-long learning as a path to fulfill our mission. We encourage participants and alumni to use their skills and knowledge to thrive and to contribute wherever they are. The volunteer spirit is embodied in the individuals and families who devote their energy, experience and empathy to ensure the well-being of every YFU student. We believe individual learning and development flourishes in authentic relationships motivated solely by the ideals of YFU. YFU values the individuality of each and every participant, and we treat everyone with kindness, respect and dignity. Our volunteers and staff are focused on our students, families and communities: preparing, supporting, listening, guiding, challenging and understanding. We appreciate the many diverse motivations inspiring our participants. Valuing Diversity: Inclusive and Fair. We appreciate differences in people—natural or cultural, innate or learned, personal or formal, and we act accordingly, to contribute to a more peaceful world. We strive to engage a growing base of participants inclusive of that diversity. YFU national organizations work together as a seamless network of interdependent partners, ever improving worldwide cooperation, mutual support and trust. YFU continuously develops as a growing community of non-profit educational organizations. Some things you’re born with. Other things—your confidence, your individuality and perspective—you will discover. Since 1951, YFU has helped students all over the globe find themselves, expand their world and discover intercultural opportunities through studying abroad. A non-profit international educational organization with partners in more than 60 different countries, Youth For Understanding is one of the world’s oldest, largest and most respected intercultural exchange programs. More than 270,000 students and their host families have benefited from the support and expertise of YFU. The YFU global network is united by the belief that full cultural immersion is the most effective means to gain the skills needed to thrive in an increasingly multicultural, interconnected and competitive global society. For learners of all ages who want a life-changing cultural exchange experience, Youth For Understanding (YFU) offers a wide range of opportunities to see the world up close. The global YFU network, consisting of partners in more than 60 different countries, is united by the belief that curiosity about the world expands cultural awareness and acceptance of other ways to live, which leads to broader perspective and greater understanding. YFU’s unique intercultural exchanges open minds and hearts, enable learning that transforms lives, change the way you see the world and help to overcome stereotypes. Selected to administer more government and corporate scholarships than any other high school exchange program, YFU has remained a trusted leader of intercultural exchange programs since 1951 because of its commitment to safety, reputation for quality, and exceptional support services. YFU is different from other intercultural exchange organizations because of our thorough preparation and program support that’s backed by a global team of volunteers, many of whom have been exchange students or host parents themselves. From the moment you become a part of the YFU family, we’re with you every step of the way. Thousands of parents across the globe trust YFU with their teenagers every year, and thousands of students every year choose YFU to help them discover their inner selves. Let this year be the year you find out more about you. 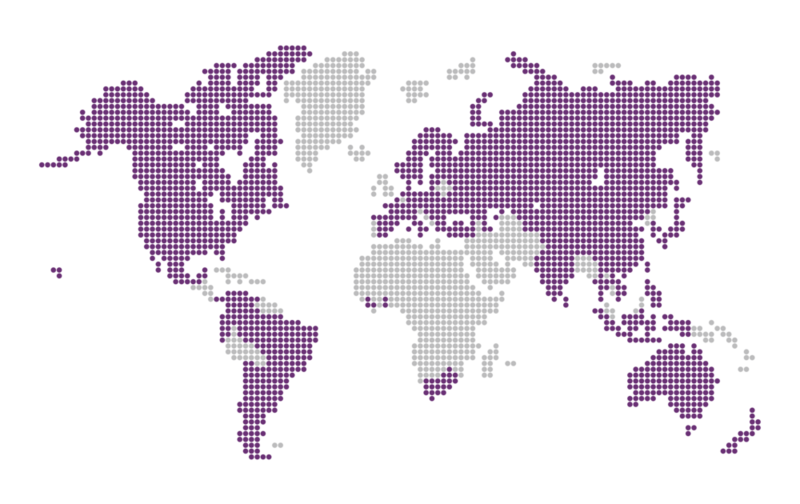 YFU is comprised of a global network of more than 60 partner offices and organizations that support more than 4,000 exchange students annually. Each partner organization shares a common mission and vision for the future and is fully autonomous. The confederation of YFU partners embrace their interdependence and work together through the Global Office. Under the auspices of a separate organization called YFU International Educational Services, the Global Office was established by the YFU community as a neutral organization to facilitate the operation and development of YFU organizations worldwide and strengthen the vitality and solidarity of the YFU network. YFU organizations around the world subscribe to a set of basic operating and philosophic standards that embody YFU’s commitment to conducting high quality programs. The standards set the basic requirements that all YFU programs must meet. They balance universal and local requirements; they establish the areas of activity for YFU organizations and fundamental qualitative expectations, but remain sensitive to individual country perspectives, interests, needs, cultural considerations, degrees of economic feasibility and differing values. Visit yfu.org to learn more about the more than 60 individual YFU country offices and partners.